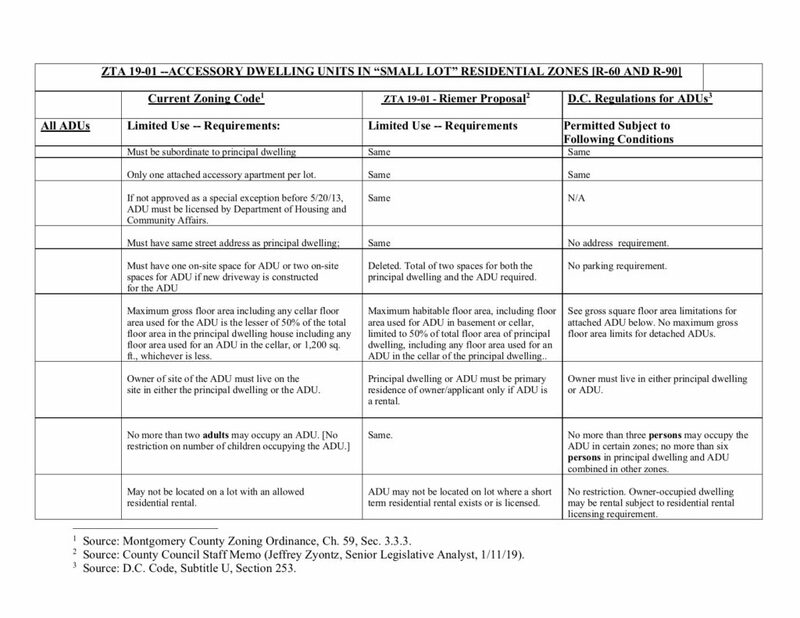 While County Executive Elrich is not opposed to accessory dwelling units (ADUs), he is opposed to this zoning text amendment (ZTA) for several reasons. You can read his testimony in full at the bottom of post. Interestingly, Elrich points out that the changes made from the previous effort to encourage ADUs just went into effect in October of last year, so it is too early to see its effect and Councilmember Hans Riemer is jumping the gun in calling the previous legislation a failure. Additionally, the ZTA does nothing to encourage more ADUs in areas near transit where we higher density and thus isn’t smart growth. Nor are there any tests or been any effort to make sure that existing streets and other infrastructure can accommodate them. Most importantly to Elrich, a huge advocate for affordable housing, ADUs won’t serve the population that needs affordable housing. As the proposed ZTA eliminates the current cap on the maximum size of ADUs, the ZTA actually encourages the construction of larger ADUs with higher rents. Del. David Moon sponsored a bill to require country clubs to pay taxes. In an effort to compromise and move the bill forward, David agreed to a changes proposed by Del. Vaughn Stewart that would instead force only the four most valuable country clubs to pay $100,000 fee instead. Even that amount proved too much and the bill died on a vote of 11-13. Councilmember Hans Riemer has proposed making much easier to build additional accessory dwelling units (ADUs) with the best of intentions. Yesterday’s post looked at why it will likely raise housing costs, even though it is intended to do the opposite, and burden county infrastructure. Today, I look at why the proposal breaks trust with residents and remains open to serious abuses. The county literally just finished revising its entire zoning code in a pro-development direction. 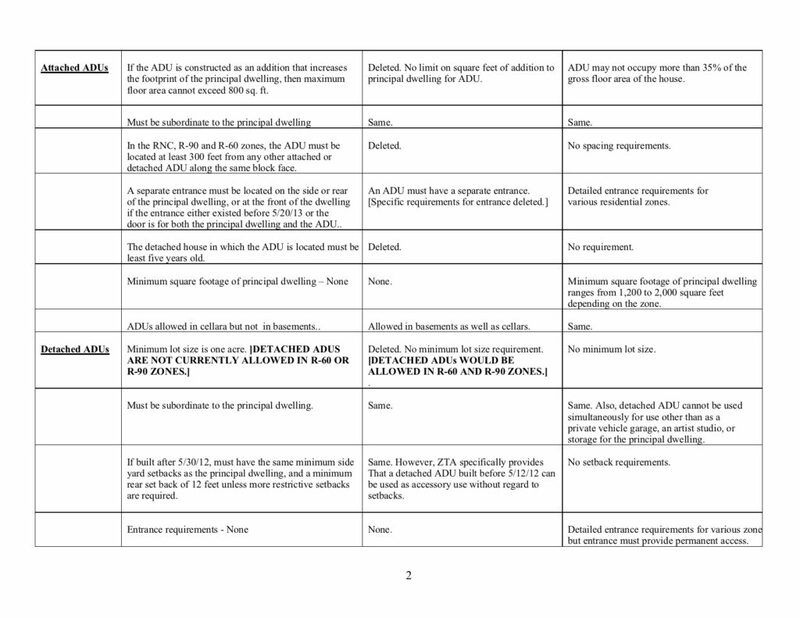 We also just revised the rules on ADUs only a few years ago. Yet here we are once again revising the code in a major way. And the changes are all uni-directional to allow more. Always. In a single stroke, Hans’s legislation undermines all of the county master plans by drastically increasing the number of potential units in any area. In Bethesda, we just finished the process and already upped the existing density considerably. Is it any wonder so many county residents are mistrustful of planning processes and county government? Homeowners value stability in neighborhoods. After all, buying a home is the single largest and more personally important investment most people will ever make. While some will welcome the changes, others will feel that they’ve just been cheated. As one resident articulated at the forum, not everyone wants to live on a congested street next to an AirBnB. “Never assume a good motive when a bad motive will do” is not the most positive outlook on life but a very good approach when thinking about how some people will do their best to stretch and to misuse new rules. While ADUs may help some achieve the positive goals emphasized by Hans, one can easily imagine how these rules will be abused despite Hans’s commendable attempt to build in protections. The law requires that ADUs can only be built by people on their principal home’s property. In theory, this should prevent a developer from buying a home, tearing it down and building either a duplex (in apartment or attached townhouse form) or two detached houses with one twice the size of the other. Except that it won’t. Someone who flips houses can just buy it, say he plans to move into it, tear it down, build a duplex or two detached houses, sell, and repeat. Alternatively, I imagine developers could construct contracts with existing homeowners that pre-arrange the sale to maintain the fiction that the new duplex or second house is the idea of the existing homeowner. As often occurs in such situations, county planners will determine that it complies with the letter of the law and have no choice but to approve the plans. I bet someone with more knowledge of housing law could come up with even more ways to accomplish the same goal without breaking a sweat. Heck, by the time that lawyers for developers are done, we’ll be thanking them for only building two units. Making it possible to build more will make the land more valuable, and thus less affordable. Existing residents who can’t afford the higher property taxes will have to sell. Others will leave because they thought they were living in a neighborhood but found themselves in a construction zone. Either way, the hiked prices render the Montgomery dream out of reach for many more more families–all in the name of affordable housing. It could well result in tearing down entire neighborhoods to build pricey duplexes. Why not make a killing doing something its supporters have labelled building affordable housing? Some would undoubtedly cheer and call it “smart growth” but that’s not how it’s being sold. Moreover, there is no guarantee that the new homes won’t be placed far from transit.